Sunday, September 30, 2018 at 3 p.m.
Eerily Beautiful. Powerfully Haunting. 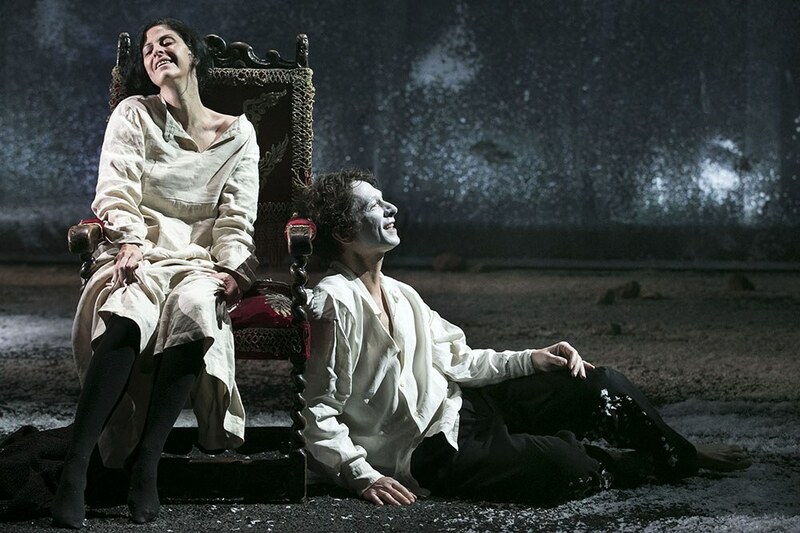 An exquisite spectacle of love beyond death from Israel’s acclaimed theatre company. Direct from Israel, and in celebration of the 70th anniversary of the establishment of the Jewish state, the internationally acclaimed Gesher Theatre presents the North American premiere of The Dybbuk. This spellbinding event takes audiences on a mesmerizing journey through Jewish folklore and the spiritual world. Blending comedy and tragedy, mysticism and psychology, the evocative work is awash in spectacular imagery, rich emotion and theatrical magic. The Dybbuk follows Hanan, a young, destitute yeshiva student who meets his untimely demise. Trapped between two worlds, Hanan’s spirit will not let go of his one true love, Lea – and he struggles from beyond the grave to return to her. On the day of Lea’s wedding to another man, Hanan’s restless soul returns as a dybbuk – a malicious spirit – to possess a host and halt the nuptials. Gesher is Hebrew for “bridge” – and the company has lived up to this name by spanning the gap between Russian and Israeli cultures. Formed in 1991 by a group of Russian immigrant actors, Gesher has established itself as one of Israel’s most dynamic, prolific and internationally lauded theatre innovators. Performed in Hebrew with English and Russian surtitles.